A Self Storage facility lease space to individuals, usually storing personal goods or to small businesses storing excess inventory or archived records. The Storage spaces, known as "units" or "lockers" are available in a number of sizes and are secured by your own lock and key. At HUAHIN-mini-STORAGE we offers secure, convenient, flexible and cost effective Self Storage Solutions both for personal and business users. HUAHIN-mini-STORAGE has safe, clean and dry individual storage lockers for rent with a range of sizes from locker style from 50 cm3 , up to 1,20 mt3 , available for short or long term rental. 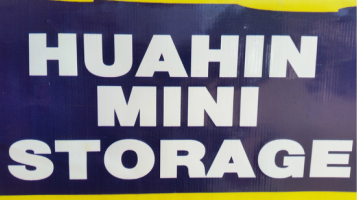 The best way for you to find out how our Mini-Storage works is to visit HUAHIN-mini-STORAGE facility at 178/17 Soi 80,Petchakasem Rd., Hua Hin, Thailand ( C/o Hua Hin Motorcycles shop,top floor) where our friendly staff will show you the lockers room and answer any questions you might have, alternatively you can contact us by telephone or email.